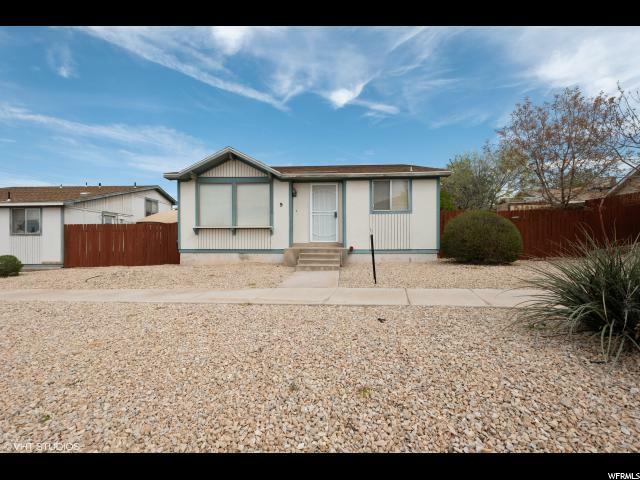 All DIXIE SUNSHINE VILLA homes currently listed for sale in St. George as of 04/19/2019 are shown below. You can change the search criteria at any time by pressing the 'Change Search' button below. "Check out this cute 4 bedroom, 2.5 bath home in Dixie Sunshine Village. Nice upgrades include bamboo and travertine floors, entire upstairs has newer light fixtures newer paint including the kitchen cabinets, brand new A/C unit in 2015. Also replaced the popcorn ceilings. Private, fully fenced yard, shed, and room for a garden. Good location close to parks, trails, and shopping."